Happy 4th of July. I have for you today some more Yummy ice cream. 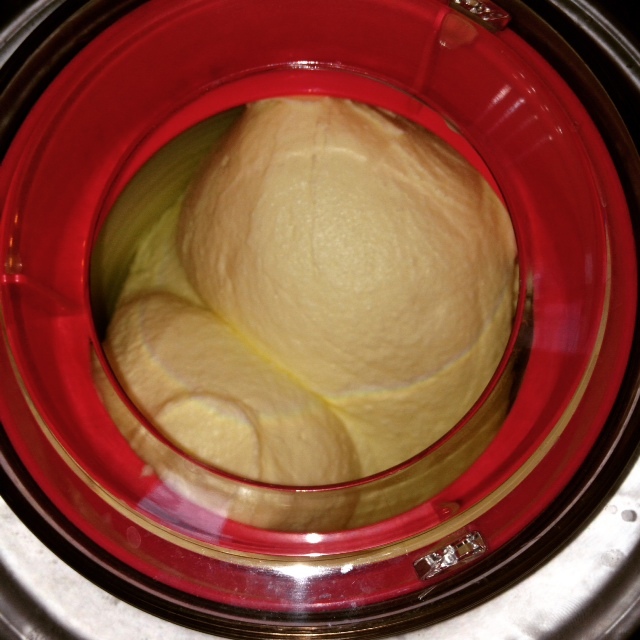 I am loving my ice cream maker. I even have my mom and niece (Hi Marley) excited to make some ice cream. I think mom and Marley are going to make Mint Chocolate Chip for their first batch in mom's new Cuisinart Ice Cream Maker. She ended up and bought one just like mine well except for the color that is. I will see if Marley will take some pictures for us when she makes her ice cream and I will post them for you all to see. 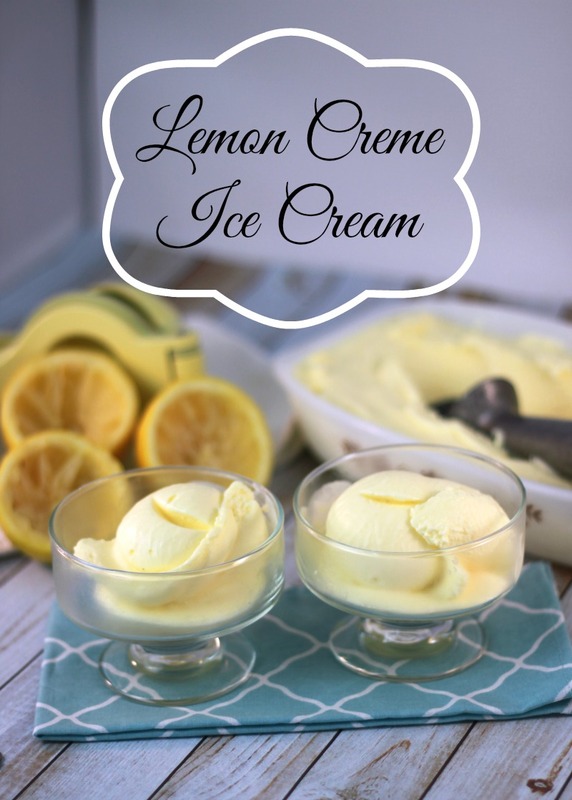 I used another surprise ingredient in my newly created Lemon Creme Ice Cream. 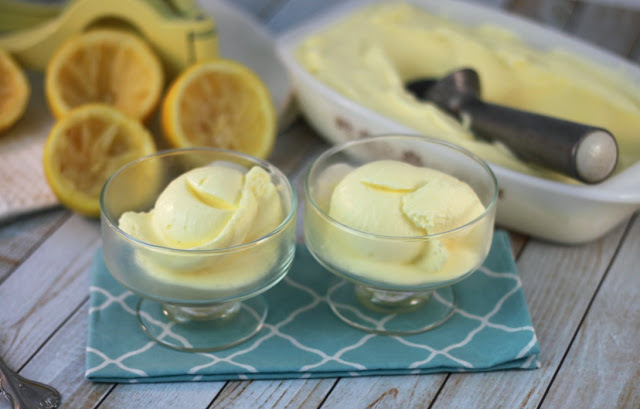 I added a 3.4 ounce box of instant lemon pudding. Wow could I tell the difference just a few minutes into the ice cream churning as it fluffed up really fast. If you wanted you could eat this right away after churning because with the pudding it was a little thicker than my other recipes have been. 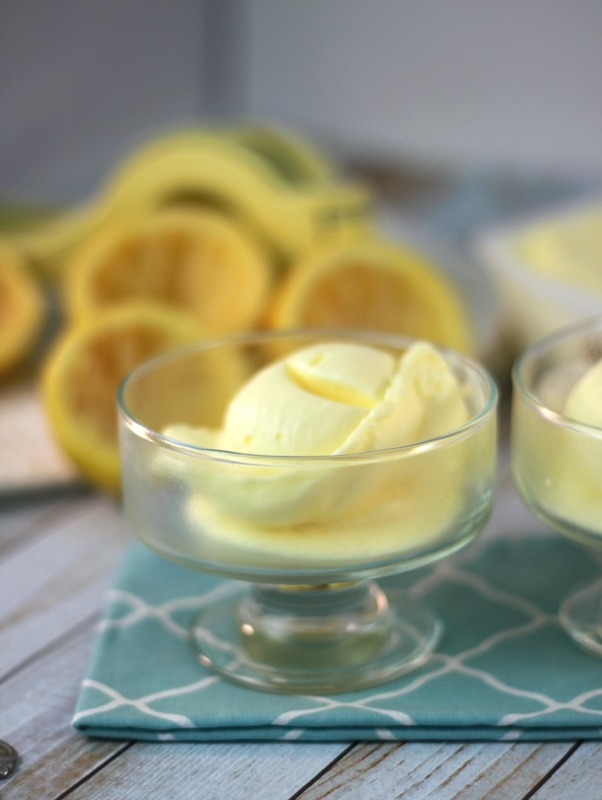 We ate a little right away because we could not resist this lemony treat. I then scraped the ice cream into a bowl, covered it with plastic wrap and put it in the freezer so it would get hard enough to scoop. Here is a picture after churning for 7 minutes. See how fluffed up it already is. I only churned this for 13 minutes and I usually churn for 20 minutes. I am guessing it is the pudding mix that is making the difference in the volume so fast. Mix everything together in a bowl. After all combined, place bowl in the freezer for 20 minutes. After 20 minutes pour ice cream mixture into ice cream maker and churn according to manufacturers directions. I used a Cuisinart and I churned mine for 13 minutes.